Toro Rosso team principal Franz Tost hailed Daniil Kvyat's return to the team on the second day of Formula 1's post-season tyre test in Abu Dhabi as the Russian returned to a Formula 1 cockpit for the first time in almost a year at the Yas Marina Circuit. Kvyat took the reins on the second day of testing, after Sean Gelael had assumed duties on Tuesday, and put in a whopping 155 laps, with a top time of 1:38.862. The Russian remained in F1 throughout 2018 with a simulator role at Ferrari but he will be back on the grid alongside Alexander Albon next year as Toro Rosso look to build on a positive first season with Honda power. 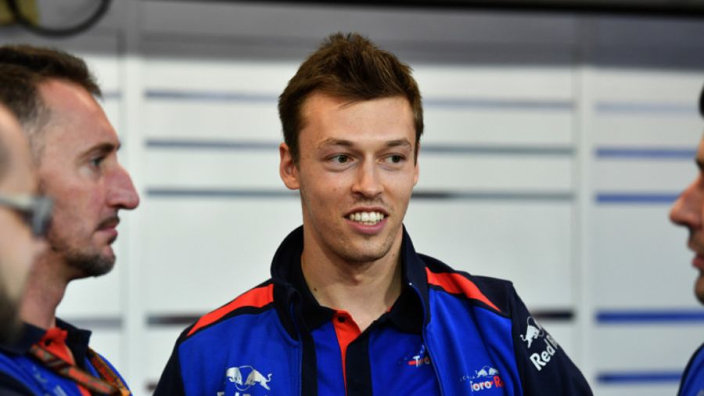 Tost was delighted with Kvyat's effort, claiming there had been no ring rust for a man whose last appearance in an F1 car came at the 2017 United States GP. "We were all more than happy to see Daniil back in Toro Rosso for the second day of testing, and he was able to immediately show a good performance," Tost said. "With all of the new data we've gathered, the engineers have a valid platform on how to prepare and run the tyres next year. "We're already looking forward to the next season, Daniil and Alex are very competitive drivers and we can't wait to see them on track." Kvyat completed more laps than any other driver across a single day of the test and said he had felt right back in the groove from the off. "I think it was a very positive and good day as we covered 155 laps, which is about three Grands Prix in one day. "To be honest, I felt comfortable and confident straight away in the car which was great. "We were able to test a good amount of tyres for next year, gathering a lot of useful information and data for the team. "I'm feeling really comfortable here and it's great to be back, I'm really looking forward to next year!"